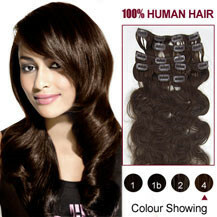 24 Inches Wavy Clip In Hair Extensions by Our website are made of 100% Human Remy Hair ( India Remy Hair ) of premium quality, one of the best clip in extensions on the market.Our 24 Inches Wavy Clip In Hair Extensions have multiple wash life, don't get frizzy or dry and are easy to dye and style.The clips are made of stainless steel covered by tone in tone color for invisible attachment. 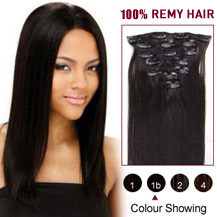 Inside the extension clips a small rubber line ensure the strongest attachement and prevent that the clip ins glides out of the hair. 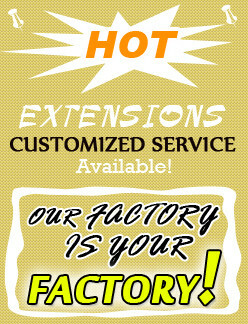 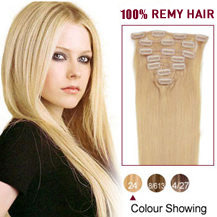 The beauty of 24 Inches Wavy Clip In Hair Extensions lies in their versatility.no one will know you're wearing them!They look natural as the silky 100% Remy human hair blends seamlessly into your own hair without damage.These 24 Inches Wavy Clip In Hair Extensions come with the clips already attached, meaning they're quick and easy to clip in and can transform your look in minutes. 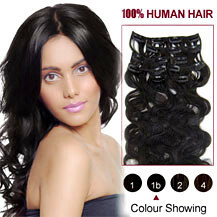 You can curl and straighten the hair. 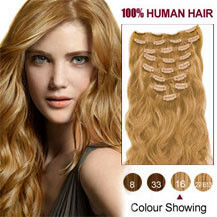 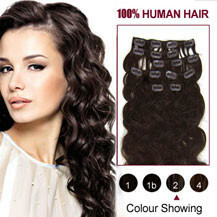 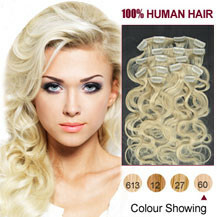 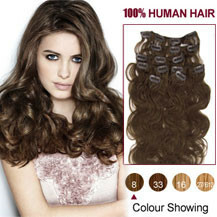 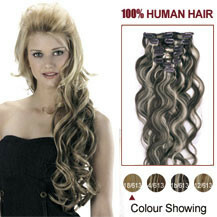 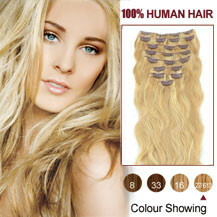 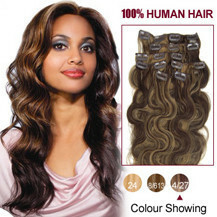 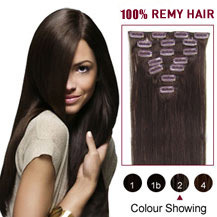 Clip on hair extensions are easy to look after and will stay soft for months to come!